You see it all the time after races and long runs: the runners’ hobble. You’ve felt it too. You struggle to walk normally because the muscles in your hips and glutes are tight from too much running and not enough stretching. You wish you didn’t have to feel tight and sore all the time, but you don’t have time to stretch. Walk normally and smoothly after your runs, no more tight hips + glutes! 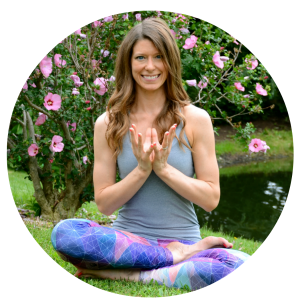 Learn how to open your hips + glutes no matter your body type, bendy or not! Get rid of your runner hobble forever and stay injury free! These poses are adaptable to your body, whether you've been practicing yoga for years or you're a total newbie. I promise never to share or sell your information! Hi, I'm Dr. Beth Brombosz! I started doing yoga over five years ago because I'd read that it would make me a better runner. But, I didn't expect to fall so deeply in love with yoga! Fast forward a couple of years, and I decided to become a certified yoga teacher so I could teach yoga to runners. 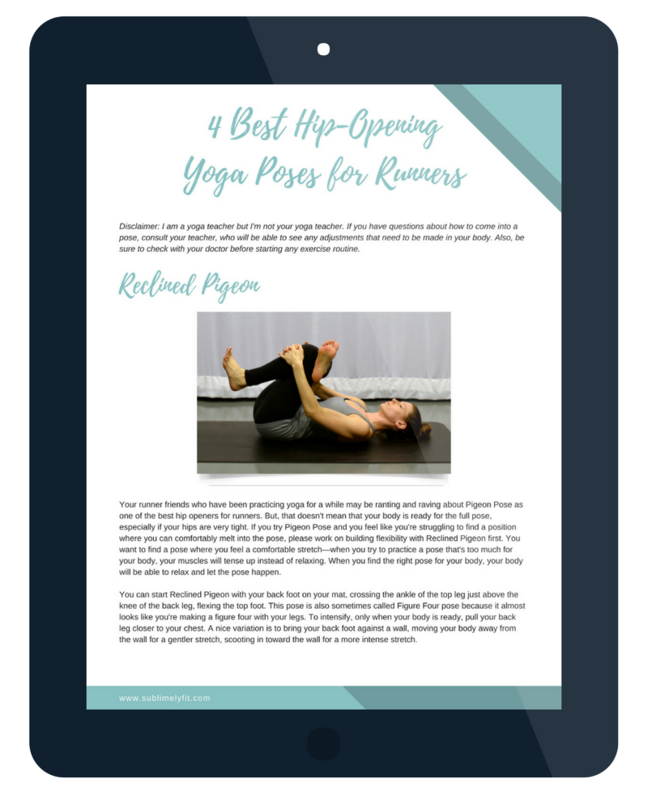 I've seen and felt how yoga makes runners stronger and more injury-resistant firsthand. I want to help you feel the same thing!